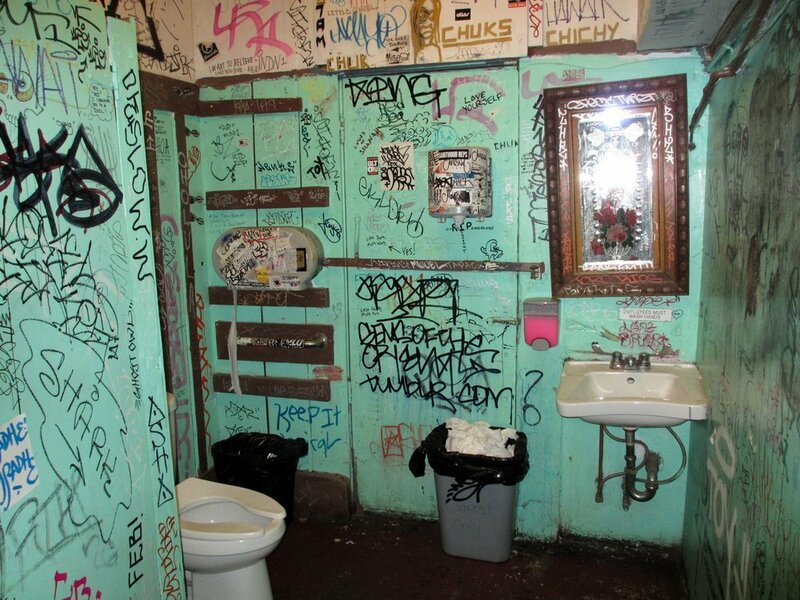 Bathrooms are some of the most normal places in the world, because they are used pretty much everywhere. They are used to bathe, get ready, and take care of certain business that usually involve relieving one’s self. Most bathrooms are generally the same, involving a toilet, sink, maybe a shower or bathtub of some sort, but generally they are the same in design. Some bathrooms are much nicer than others, but it is very rare to see a bathroom as nice as these ones. 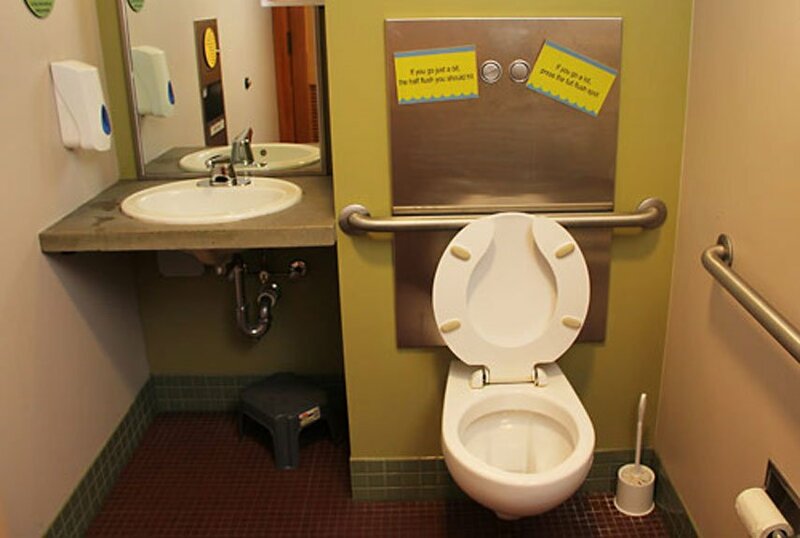 This list is a compilation of insane bathrooms that are extravagant and crazy. 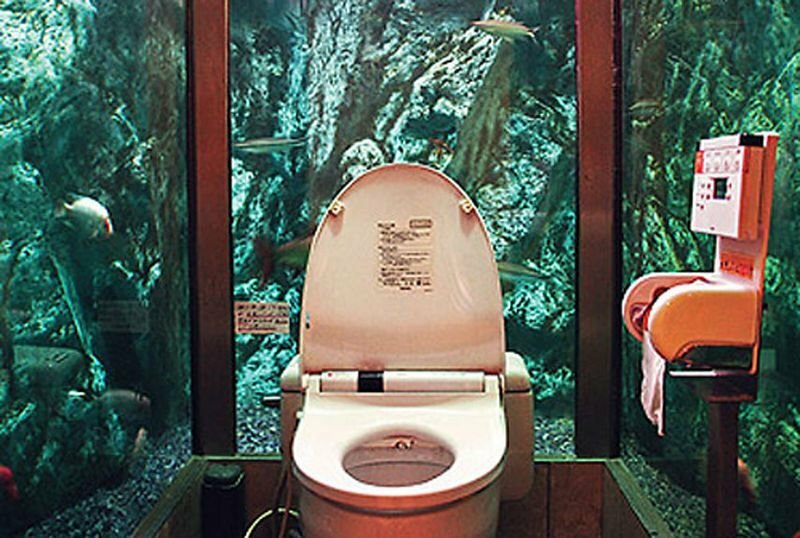 This woman’s-only bathroom in Akashi, Japan, is surrounded by a live aquarium. This bathroom in Milwaukee, WI, doesn’t look too crazy, but it’s actually really cool. Everything in the bathroom is made out of organic and biodegradable compounds, and the toilets are flushed using nothing but rainwater.